Laser therapy from Dr. Vanama in Issaquah delivers more precise, comfortable dental treatments. Dental laser therapy is an advanced technology which provides a more enjoyable dental treatment experience for the patient. Using laser dentistry, your dentist is given the additional ability to administer a highly precise treatment, in less time, with impressive results. Reduced risk of complications from bacterial infections with the high precision laser treatments offer. Many laser treatments dispense with the need for anesthesia, while dramatically improving recovery time -compared to traditional surgical methods. Patients experience less pain, making treatments more pleasant. There are two distinct categories of laser dentistry: soft and hard tissue. Soft tissue treatments include surgical operations on gum tissues, and muscular attachment augmentation. Hard tissue laser dentistry includes treatments such as: tooth sensitivity, cavity diagnosis, and placement of dental fillings. 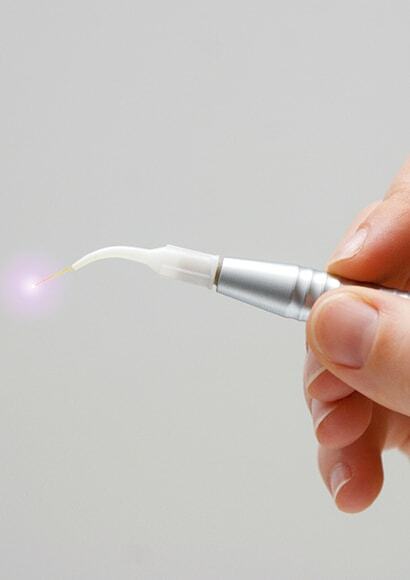 Laser dentistry is a highly versatile technique which also encompasses tooth whitening, treatment of TMD injuries, removal of benign oral tumors, regenerative nerve therapy, and surgical correction of sleep apnea imperfections. If you are interested in obtaining more information about how laser dentistry can benefit you and your family, contact our staff and schedule an appointment today. Very nice staff and the doctor is amazing. They make sure you have a good experience here. The office is very clean as well. Would recommend! Get impressive results without the needle!